Lely Golf Estates Naples Florida is a deed restricted, private golf course community with rolling fairways and sprawling neighborhoods. The Hibiscus Golf Course winds in and around Lely Golf Estates. Properties in Lely Golf Estates includes low-rise (1-3 floor) condominiums and single-family homes. They range in size from 925 to over 2000 sqft of living area. Hibiscus Golf Club is an 18-hole public golf course built in 1969 and designed by Dave Wallace. Renovations to the course and clubhouse were completed in 2007. This splendidly conditioned layout is one of the few courses in the Naples area open to the public. Hibiscus is a golfer’s dream with 18 totally different experiences for both the high and low handicap golfer. Wide fairways, bunkered greens and numerous lakes and streams make each hole a new challenge and a pleasure to play. They also offer one of the few public practice facilities in SW Florida. 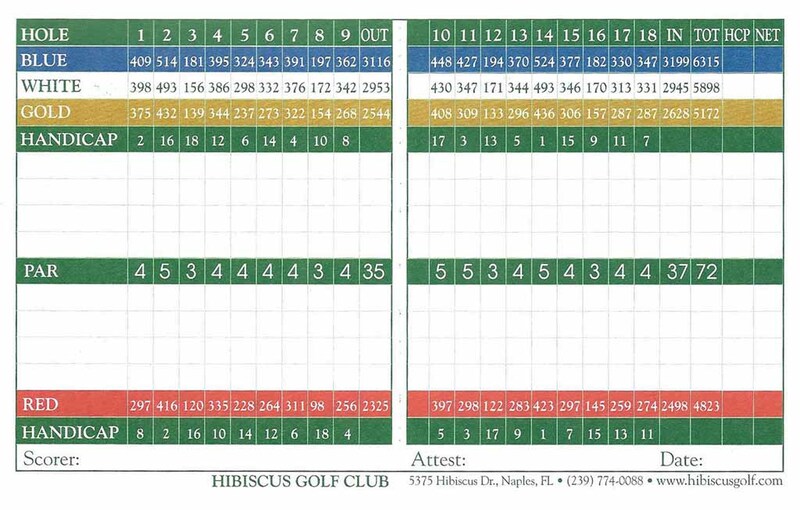 For additional information about Hibiscus GC Naples FL, please complete the form below! I or one of my team members will respond to you within one business day.